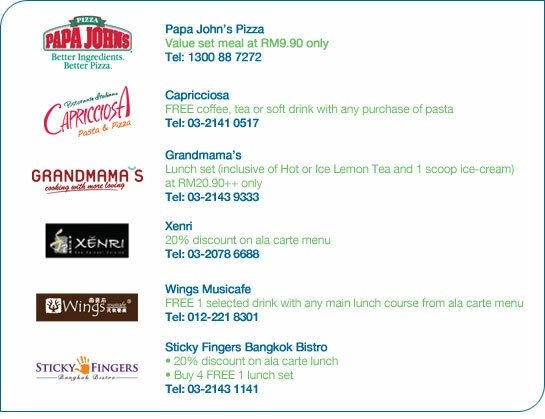 Papa John's Pizza set meal at RM9.90? Share more moments of laughter with your friends over a tantalising lunch. Live The Good Life™ everyday with great food at great places when you use your Standard Chartered Card. For more dining offers, please click here.